Oil services firm Nabors Industries Ltd. said Wednesday the DOJ won't bring an FCPA enforcement action after an investigation first launched more than five years ago. Oil services firm Nabors Industries Ltd. was a customer of Panalpina but not among the six that settled FCPA cases on the same historic day in November 2010. Tidewater Inc., one of about a dozen oil-and-gas-services companies dragged into FCPA compliance problems a few years ago by Swiss logistics giant Panalpina, said in its latest annual report that it expects a settlement soon with the SEC and possibly the DOJ. The company said its SEC settlement would require a total payment of about $11.4 million, consisting of $8.4 million in disgorgement and prejudgment interest, and a contingent civil penalty of $3 million. The disgorgement would be payable right away, while the contingent civil penalty would be due within 18 months, but only to the extent Tidewater has not paid a penalty to the DOJ for the same FCPA offenses. So whatever Tidewater pays to the DOJ in penalties will be deducted from the SEC's penalties (that's why it's a contingent civil penalty). That doesn't mean Tidewater won't pay more than $3 million in penalties to the DOJ. But it does mean it might pay the SEC $3 million less, depending on how things work out with the DOJ. Usually the DOJ and SEC walk hand-in-hand in FCPA settlements with issuers. For some reason -- maybe the DOJ's limited FCPA bandwidth these days because of the shot-show prosecutions, or the backlog caused by this summer's time-consuming OECD review -- the SEC has taken the lead with Tidewater while the DOJ, according to the company's disclosure, isn't yet ready to settle. But to help Tidewater out, the SEC is giving the company a way to budget for a settlement, reserve the money, and partly limit its financial exposure. The process of making financial arrangements for FCPA-related settlements among defendants, the DOJ, and SEC is usually completely opaque. This time, however, we're glimpsing the work in progress. The only similar deal we've seen involved ABB in 2004. The company was hit with an SEC disgorgement and interest payment of about $6 million and a civil penalty of $10.5 million. That civil penalty, however, was to be "deemed paid" by amounts ABB later paid in criminal fines to the DOJ (it eventually paid about $5.2 million in criminal fines). Back to today's news, Panalpina itself has reserved about $110 million for an expected FCPA settlement with the DOJ and SEC, and a separate antitrust resolution. In April it said the settlements should happen "in the near future." The DOJ and SEC since 2007 have been investigating whether Pananlpina, on behalf of several customers including Tidewater, paid bribes in Nigeria for customs clearance and licensing. About a dozen leading oil and gas-related companies received letters from the DOJ and SEC asking them to "detail their relationship with Panalpina." Shell, Schlumberger, Nabors Industries, Transocean, GlobalSantaFe Corp., Noble Corp. and Pride International were also involved. Pride said in February this year it has set aside $56.2 million for an expected FCPA settlement with the DOJ and SEC. The Houston-based oil rig operator first disclosed potential FCPA compliance issues in 2006. Tidewater said its tolling agreement with the SEC expired on June 15 this year. It hasn't said if the settlement deadline was extended. The company's disclosure was reported yesterday by Main Justice. The company has previously reported that special counsel engaged by the company’s Audit Committee had completed an internal investigation into certain FCPA matters and reported its findings to the Audit Committee. The substantive areas of the internal investigation have been reported publicly by the company in prior filings. The company has reached an agreement in principle with the staff of the SEC to resolve its previously disclosed investigation of possible violations of the FCPA. Under the proposed resolution, the company would consent to the filing in federal district court of a complaint (“Complaint”) by the SEC, without admitting or denying the allegations in the Complaint, and to the imposition by the court of a final judgment against the company, including a permanent injunction against us. The Complaint would allege civil violations of the FCPA’s anti-bribery and accounting provisions with respect to certain previously discussed conduct involving tax authorities in Azerbaijan, and the FCPA’s accounting provisions with respect to amounts paid by a subsidiary of the company to a third party customs broker to procure certain permits necessary for the company’s vessels to operate in Nigeria. The final judgment would not take effect until it is confirmed by the court, and would permanently enjoin the company from future violations of those provisions. The agreement in principle would require the company to pay a total of approximately $11.4 million, consisting of the sum of $8.4 million (principally representing disgorgement of profits and prejudgment interest) payable at the time of settlement and a contingent civil penalty of $3.0 million. The contingent civil penalty would be payable to the SEC in 18 months, to the extent that the company had not agreed to pay fines or penalties of at least that amount to another government authority (or authorities) in connection with the matters covered by the internal investigation. The financial charge associated with the proposed settlement with the SEC was recorded in the fourth quarter of fiscal 2010 and is included in general and administrative expenses. court. There can be no assurance that this settlement will be finalized, or finalized on the terms set forth above. If the settlement is not finalized, the SEC may bring an enforcement action against the company. The company’s current tolling arrangements with the SEC extend through June 15, 2010. Aibel Group Ltd. of the United Kingdom pleaded guilty yesterday to violating the antibribery provisions of the Foreign Corrupt Practices Act and failing to comply with the terms of its prior deferred prosecution agreement. It admitted making previously undisclosed illegal payments to Nigerian customs officials through its freight forwarder in return for preferential treatment. From 2002 to 2005, Aibel arranged at least 378 corrupt payments to Nigerian officials totaling about $2.1 million. The payments were coordinated largely through an affiliate's office in Houston and were paid through a freight forwarding company. Aibel's work in Nigeria involved a deepwater oil drilling operation known as the Bonga Project, for which the company provided engineering, procurement and subsea construction equipment. At a hearing yesterday in the Southern District of Texas, Aibel pleaded guilty to single conspiracy and substantive counts of violating the FCPA. Aibel also admitted that it had not complied with a deferred prosecution agreement it had entered into with the Justice Department in February 2007 regarding the same underlying conduct. As part of the plea agreement, it will pay a $4.2 million criminal fine and serve two years on organizational probation. Among other things, it is required to report periodically its progress in implementing antibribery compliance measures. Aibel is owned by Herkules Private Equity Fund and Ferd Capital, both of Norway. They acquired the company in June 2007 from a private equity group led by Candover, 3i and JPMorgan Partners, which bought Vetco Gray UK Ltd. and its affiliate Aibel in July 2004 from ABB Oil & Gas. When its current Norwegian owners acquired Aibel, it was already subject to the January 2007 deferred prosecution agreement. The new owners were required by the DOJ to ensure the company's compliance with the terms of the deferred prosecution agreement after the acquisition. The Justice Department's release didn't name the "major international freight forwarding and customs clearance company" Aibel used to make the illegal payments. But it explained that this is the third time since July 2004 that entities affiliated with Aibel have pleaded guilty to violating the FCPA. On July 6, 2004, Vetco Gray UK Ltd. pleaded guilty to violating the FCPA's antibribery provisions by paying more than $1 million in bribes to officials of the National Petroleum Investment Management Services, a Nigerian government agency. And in February 2007, three wholly-owned subsidiaries of Vetco pleaded guilty to violating the antibribery provisions of the FCPA. As part of the February 2007 plea, the Vetco companies agreed to pay a combined $26 million criminal fine. Although Aibel, which was then also wholly-owned by Vetco, was not fined, it was required to enter into a deferred prosecution agreement whereby it accepted responsibility for similar conduct by its employees. It admtted Friday that it was not in compliance with the deferred prosecution agreement. The DOJ said in February 2007 that Vetco's bribes in Nigeria were paid to customs officials through a "major international freight forwarding and customs clearance company," the same description used in the DOJ's release yesterday. Since February 2007, about a dozen leading oil and gas-related companies have received letters from the DOJ and SEC asking for details about their relationship with Swiss logistics giant, Panalpina. Companies that have said they received requests include Shell, Schlumberger, Tidewater, Nabors Industries, Transocean, GlobalSantaFe Corp., Noble Corp., Pride International and Global Industries. Panalpina said in its 2008 half-yearly report (available here) that it would divest its domestic operations in Nigeria to a local investment group and retain no ownership or operating interest. It completed the transaction earlier this month. It also said it was cooperating with an investigation by the DOJ and SEC and that its U.S. subsidiary had been instructed to produce documents and other information about services to certain customers in Nigeria, Kazakhstan and Saudi Arabia. Regarding yesterday's plea, the DOJ said Aibel self-disclosed the current FCPA violations as well as those in February 2007 and agreed to take significant remedial steps. View the DOJ's November 21, 2008 release here. Compliance concerns have forced Swiss logistics giant Panalpina to withdraw completely from the Nigerian domestic market. It said in its 2008 half-yearly report (available here) that it will sell its local operations to a Nigerian group and retain no ownership or operating interest. The exit from Nigeria follows Panalpina's announcement in September 2007 that it would suspend domestic logistics and freight forwarding services there for all oil and gas-related customers. That earlier announcement was part of Panalpina's statement that it was cooperating with the U.S. Justice Department and the Securities and Exchange Commission in a Foreign Corrupt Practices Act investigation. 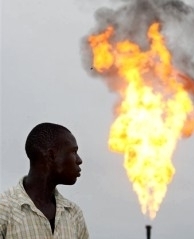 As a refresher, in February 2007, the DOJ noted in connection with the resolution of Vetco's FCPA case that bribes in Nigeria "were paid through a major international freight forwarding and customs clearance company to employees of the Nigerian Customs Service . . .” Since then about a dozen leading oil and gas-related companies received letters from the DOJ and SEC asking them to "detail their relationship with Panalpina . . . ." Shell, Schlumberger, Tidewater, Nabors Industries, Transocean, GlobalSantaFe Corp., Noble Corp., Pride International and Global Industries are among those involved. As we've said, with crude prices above $100 and global supplies tight, the U.S. government wants to avoid impairing output anywhere. So to protect production in Nigeria but ensure FCPA compliance, the DOJ may have made special arrangements directly with the Nigerian government for customs clearance and permitting on behalf of U.S. producers and services companies. The Board of Directors and the Executive Board of Panalpina have decided to withdraw from the domestic business in Nigeria by the end of 2008. The company will continue to offer transportation services up to arrival port / airport Nigeria, including flight operations and coastal shipping services but will terminate all local and domestic services. In the meantime, Nigerian investors have shown interest in taking over Panalpina’s local service portfolio. They intend to acquire some of Panalpina’s assets and resources for their own company and they also plan to recruit employees from the current Panalpina Nigeria staff. This company will operate completely independently from Panalpina and the Panalpina Group will not have any equity stake in this new company. [CEO] Monika Ribar explains, “In view of the Group’s future development, the withdrawal from Nigeria is in the company’s best interest”. She emphasizes that it has not been an easy decision to make. “Admittedly foreign companies operate in an ongoing uncertain and hard to assess legal environment in Nigeria. This makes it difficult for Panalpina to offer both a comprehensive service portfolio and at the same time meet the high ethical standards as outlined in Panalpina’s Code of Business Conduct”, she continues to explain. With the emerging solution customer demands can be fulfilled even after Panalpina’s withdrawal from the domestic and local business. View our prior posts about Panalpina here. 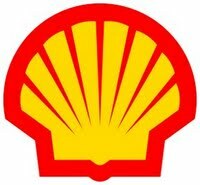 "In July 2007, Shell’s US subsidiary, Shell Oil, was contacted by the US Department of Justice regarding Shell’s use of the freight forwarding firm Panalpina, Inc and potential violations of the US Foreign Corrupt Practices Act (FCPA) as a result of such use. Shell has started an internal investigation and is cooperating with the US Department of Justice and the United States Securities and Exchange Commission investigations. While these investigations are ongoing, Shell may face fines and additional costs." Shell's Annual Report can be downloaded here. Warning -- it's a 224 page pdf file. In February 2007, the DOJ said in connection with the Vetco case that bribes in Nigeria "were paid through a major international freight forwarding and customs clearance company to employees of the Nigerian Customs Service . . .” Since then, about a dozen leading oil and gas services companies have announced FCPA investigations resulting from their relationship with logistics leader Panalpina. By mid 2007, the DOJ and SEC had extended the investigation into Panalpina's activities in Nigeria, Kazakhstan and Saudi Arabia, and had sent letters to its customers, “asking them to detail their relationship with Panalpina . . . ." Schlumberger, Tidewater, Nabors Industries, Transocean, GlobalSantaFe Corp., Noble Corp. and Global Industries are among those involved. In September 2007, Panalpina said it is cooperating with U.S. prosecutors and exiting the Nigeria logistics and freight forwarding market for all oil and gas services customers. We commented earlier that with crude prices at triple digits, can the U.S. government afford to cripple output anywhere in the name of FCPA enforcement? Probably not. But in addition to encouraging Panalpina to stop doing business in Nigeria for oil and gas services firms, the DOJ may have made special arrangements directly with the Nigerian government for customs clearance and permitting on behalf of Panalpina's former customers. That will allow them to keep working in Nigeria but still comply with the FCPA. View prior posts about Panalpina here. Will Nigeria Hit The Boiling Point? The online edition of Nigeria's Business Day newspaper carried a story on November 19, 2007 that's noteworthy. It's about how corrupt multinationals are undermining the country's economy. The story can be found here. Public corruption always involves two parties -- the crooked official and the bribe-paying privateer. Both share the blame. Still, looking at corruption through the eyes of the host country reminds us of the damage inflicted on economies and the harm done to innocent citizens. We can't vouch for all the reporting in the Business Day story. But the writer, Martins Azukwike, compiles a roll call of companies recently linked by their home countries to corrupt payments in Nigeria or now being investigated for illegal activities there. The names include Siemens, Shell, ChevronTexaco, Willbros, Halliburton, Technip, Snamprogetti, Kellogg, Japanese Gas Corporation, Agip, TotalFina/Elf, Baker Hughes, Vetco, GlobalSantaFe, Transocean, Tidewater, Noble Corporation, Nabors Industries, Pride International Inc. and Panalpina. Mr. Azukwike could have added ABB, Bristow, Paradigm and others. No wonder ordinary Nigerians are pointing fingers. Players in the oil patch and elsewhere should pay attention to this warning from the story: "With the gale of exposure of corporate scandals in foreign lands involving the operations of multinationals in Nigeria, opinions are already building with a call to urgently declare a force majeure on the oil companies’ operations in the country. The list of exposure of the misdeeds of these companies, which have opened the Pandora’s Box, is becoming almost endless." The drafters of the U.S. Foreign Corrupt Practices Act knew that public bribery is not a victimless crime. Eventually, ordinary citizens whose daily lives are ruined reach their limit. That's part of what happened in Somoza's Nicaragua, the Shah's Iran, Marcos' Philippines and Suharto's Indonesia. Will Nigeria join the list? The Justice Department is investigating alleged Foreign Corrupt Practices Act violations by oil-service companies that used Panalpina [a Swiss based freight forwarder] and other brokers in Nigeria and other parts of the world, the company said. In addition to Nabors, similar investigations into Nigerian operations have been announced by Transocean, GlobalSantaFe Corp., Noble Corp., Tidewater and Global Industries, among others. View the Houston Chronicle Article here.